As the festive season approaches, most of us will over-indulge with food & drinks that can leave us feeling miserable & sluggish. So here’s a nourishing easy quick and affordable recipe that will fill you and the family up in all the right ways. 2 large handfuls of kale. Quinoa or brown rice to serve alongside. In the photo, mine is served with mixed red & white quinoa which adds even more to the wonderful colours of the dish. 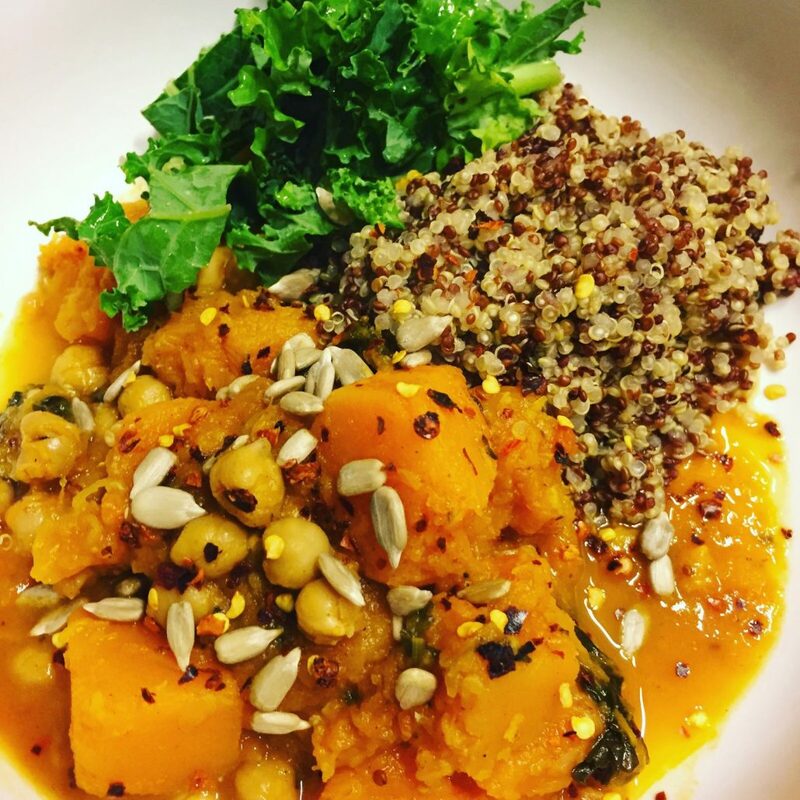 This recipe is a perfectly balanced dish, providing plenty of protein from the chickpeas & quinoa, carbohydrates from the butternut squash. It’s also a good source of of B6 which is essential for our nervous system & immune system, and the kale – which I refer to as the ‘King of Greens’ as it is a nutritional powerhouse; super-high in nutrients, such as Iron. vitamin k and vitamin C.
This is a great meal for all the family – warming, filling and packed full of nutrients – and so simple to make!